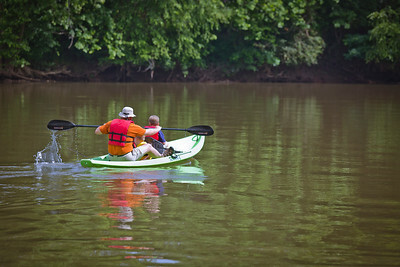 With summer upon us, many agencies are reminding Georgians of the importance of water safety through a SPLASH campaign. The program includes bilingual brochures, boat checks by law enforcement officers, public service announcements and videos, and social media messaging. The DNR is in the process of adding “loaner boards” with personal flotation devices (life jackets) at public boat ramps. Ticks are a natural part of Georgia’s environment, so visitors should always check for ticks after being outdoors. Lyme disease is spread by the bite of infected blacklegged ticks and is common in the U.S. Visitors should use insect repellent and remove ticks promptly. Infected ticks usually don't spread Lyme disease until they have been attached for at least 36 hours. Typical symptoms include fever, headache, fatigue and a characteristic skin rash. If left untreated, infection can spread to joints, the heart and nervous system. Anyone experiencing these symptoms or who is unable to remove a tick should contact their doctor immediately. Learn more about preventing tick bites. The Centers for Disease Control has issued travel warnings for areas in the Caribbean, Central America, South America, Pacific Islands and Mexico where there are ongoing outbreaks of Zika virus infection. As of this date, no locally transmitted Zika cases have been reported in Georgia or anywhere in the United States. However, we encourage visitors to be aware of risks and take precautions. Zika is primarily spread through the bite of an infected Aedes species mosquito. Most people infected don’t even know they have it. See a healthcare provider if you develop a fever, rash, joint pain or red eyes during a trip or within 2 weeks after traveling to a place with Zika, or if you have had sexual contact with someone who has traveled. Zika infection during pregnancy is linked to birth defects. What are Georgia’s State Parks & Historic Sites doing to prevent Zika? We are committed to preventing the spread of this virus by eliminating mosquito breeding sites. Traditional truck spraying is not very effective for the Aedes mosquitoes due to their breeding habits. Therefore, parks are reducing areas suitable for mosquitos to breed in the vicinity of campgrounds, cabins, golf courses, museums and offices. Park staff are also working to keep vegetation cut low in these areas. Our retail areas stock insect repellant and mosquito netting. 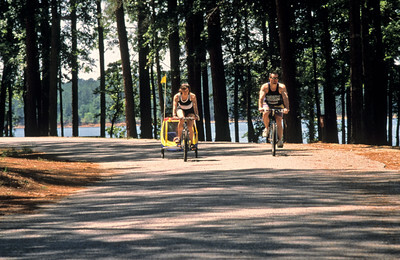 What can you do while visiting Georgia’s State Parks & Historic Sites? Use insect repellant (20–30% DEET is recommended). Mosquito-proof your tent, trailer or RV. Use mosquito netting around picnic areas. Notify park personnel if you see standing water likely to breed mosquitos. Stay on marked trails. Making shortcuts and “bushwhacking” causes erosion and greatly increases your chance of becoming lost. As you hike, pay attention to trail blazes (paint marks on trees) and landmarks. 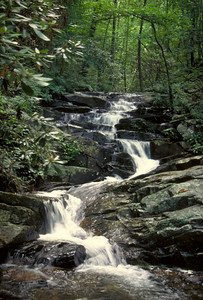 Never climb on waterfalls or wet rocks. These can be surprisingly slippery, and major head injuries can occur from minor falls. Never go beyond fences or restricted areas. Keep a close watch on children near waterfalls. 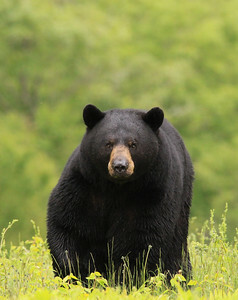 Black Bears are a natural part of Georgia’s environment and can sometimes be seen in State Parks. It is a memorable and rare experience to see these creatures, and they are most likely to be spotted in the north Georgia mountains or near the Okefenokee Swamp. Bears usually keep their distance from humans, but sometimes they come too close. If you see a bear, follow these safety tips. Never approach a bear. Your safety is more important than a photograph or video. If your presence causes the bear to change behavior (stop feeding, watch you, pop its jaws, etc.) you are too close. If a bear approaches you, do not run, turn your back or play dead. Instead, make yourself look larger, wave your arms, shout and slowly back away. Pick up small children. If you are attacked, fight back aggressively with any available object. Report bear encounters to park staff immediately. Additional information is available at the park office. The American Alligator’s natural habitat includes the southeastern United States. They can often be seen on the banks of lakes or streams. Sometimes alligators will bask with their mouths open to cool themselves. They will eat most anything they can catch, including fish, turtles, snakes, small mammals (including pets), birds and even other alligators. Most alligators have a natural fear of humans and will slip away when encountered. They are not the same as crocodiles, which are larger, more aggressive and found in saltwater. Crocodiles are not found in Georgia. Treat all wildlife with respect. Feeding, harassing, injuring or removing wildlife, including alligators, is against the law. Never approach alligators. They are extremely fast and will defend themselves when cornered. They rarely chase people, but they can outrun or out swim the fastest person for the first 30 feet. Keep pets and children away from the banks of lakes and streams. Do not fish near an alligator that seems interested in you. If an alligator takes your bait, cut your line and move away. Do not use a stringer for fish. Do not throw fish scraps in water. Swim only in designated areas. If you see an alligator near a swimming area, immediately notify park staff. 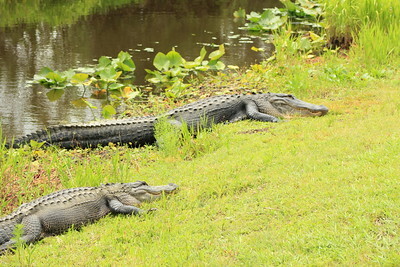 Let park staff know if you encounter an aggressive gator or see anyone feeding an alligator. Visitors may use hammocks within their campsite or immediate cabin/yurt area. Please follow instructions and safety precautions provided by the hammock manufacturer. This typically includes choosing healthy trees that are at least 12 inches in diameter; choosing trees with no overhead hazards; and hanging hammocks from two trees that are 10–12 feet apart, with no more than one hammock tied to each tree. Do not hang hammocks too high for individual safety. Use smooth straps to protect tree health. Attach a whistle to their clothing. Talk to children about what to do if they become lost, no matter what the location (city or wilderness). Teach children that they won’t get into trouble for becoming lost. Reassure children that people (and possibly dogs and helicopters) will look for them if they become lost. Do not hide from searchers; answer their calls. Do not run. Instead, “hug a tree” and make a comfortable “nest.” This prevents wandering even further. If helicopters are searching overhead, seek an opening rather than thick tree cover. Lie down so you look bigger from the air.